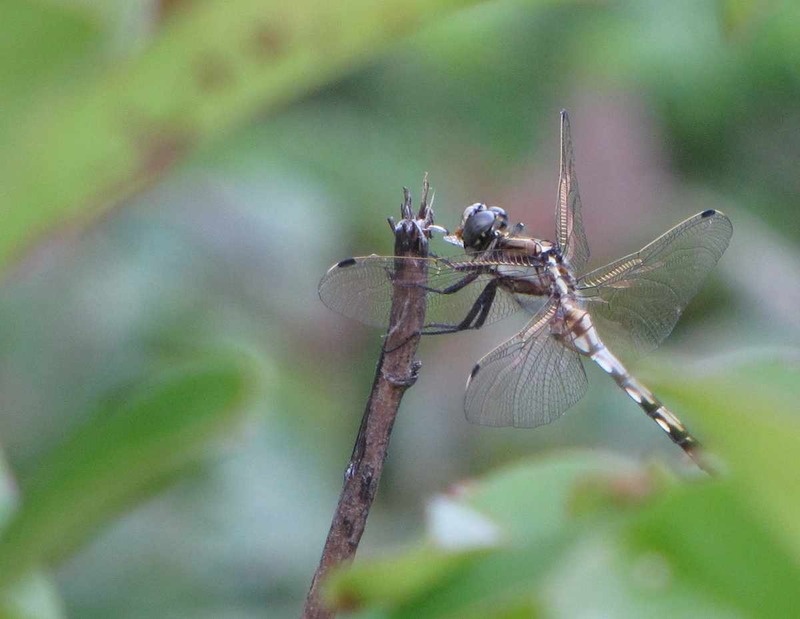 I believe this is a dragonfly (near Guilin, China). Dragonflies are very similar to damselflies. Damselflies have narrower bodies, their eggs are also much smaller and separated (while dragonfly eyes take up much of their head area) and dragonfly wing pairs are more different (they each have four wings but on dragonflies the back wings are shaped differently than the front wings). Photos copyright John Hunter. Dragonfly in China is available for use as creative commons attribution. Only photos noted as available as creative commons attribution may be used without permission (in the manner described only), other photos may not be used without permission.